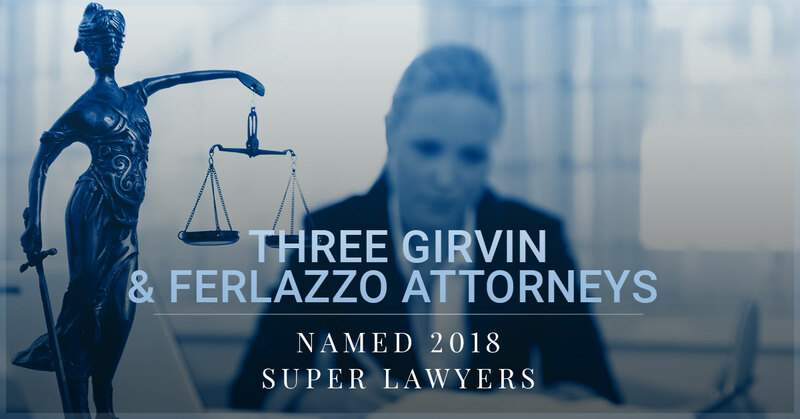 Girvin & Ferlazzo is excited to announce that three of our attorneys have made the list for Upstate New York 2018 Super Lawyers: Sal Ferlazzo (Alternative Dispute Resolution), Patrick Fitzgerald (Business and Corporate), and Ryan Mullahy (Rising Star). Out of the practicing attorneys in Upstate New York, only five percent made the Super Lawyer list. Of that five percent, only 2.5 are deemed Rising Stars. Learn more about these stand-out lawyers today, and call our law firm you want to speak to a personal injury attorney in Albany! Salvatore D. Ferlazzo is a partner at Girvin & Ferlazzo, and he has more than 30 years of experience as an attorney. His repeated selection as Super Lawyer suggests his effectiveness in commercial litigation, personal injury, medical malpractice prosecution and defense, real estate, and municipal law. Mr. Ferlazzo has reached several multi-million dollar settlements in both personal injury and commercial litigation. He is a leader in the field, and he also serves as an adjunct professor at the College of St. Rose. Patrick J. Fitzgerald III is also a partner at Girvin & Ferlazzo with a focus on business litigation and commercial disputes. In addition to litigating business and commercial disputes, Fitzgerald represents private-sector employees on matters of Title VII of the Civil Rights Act of 1964, Americans with Disabilities Act (ADA), the Family Leave Medical Act, and other similar legislation. Mr. Fitzgerald is involved in the Albany community, serving on the board of directors of a local not-for-profit (STRIDE, Inc) that helps provide enrichment opportunity to different-ability children in the region. Ryan Mullahy was selected as a Rising Star. To be eligible for this distinction, an attorney must be 40 years old or younger or in practice for fewer than 10 years. It’s an incredible accomplishment that Mr. Mullahy made this list, as only 2.5 percent of Super Lawyers receive this distinction. Mr. Mullahy concentrates in education law, private and public sector labor and employment law, and litigation. He has appealed in front of the New York State Department of Education and is also involved in state administrative proceedings. Our law firm in Albany is honored to work with these Upstate New York 2018 Super Lawyers as peers and colleagues. Being named as a Super Lawyer in New York is no easy feat; in fact, the selection process takes 12 indicators of professional achievement and peer evaluation into account. Super Lawyers have to not only be extremely knowledgeable in their field, but they also have to be recognized as standouts among their peers. According to Super Lawyers, attorneys must meet these criteria to be named as Super Lawyers. Candidates who have the highest point totals after being judged on the 12 indicators of achievement and peer recognition are considered by a peer panel. Fellow attorneys within an attorney’s practice area evaluate the candidate. After being approved by a peer panel, attorneys are named to the Super Lawyer list. As we mentioned, the selection process is extremely competitive — only five percent of attorneys are recognized as Super Lawyers and only 2.5 percent of these attorneys are eligible to be Rising Stars. Having two Super Lawyers and one Rising Star speaks to the professional achievement and reputation of our law firm in Albany. Our attorneys are known for their high standard of legal work, writing, and advocacy. Call our local attorneys in Albany today for a free consultation.